 Here you have each stage in detail. Remember that if you are doing the self-guided trek, you choose the departure point and the directions of travel. 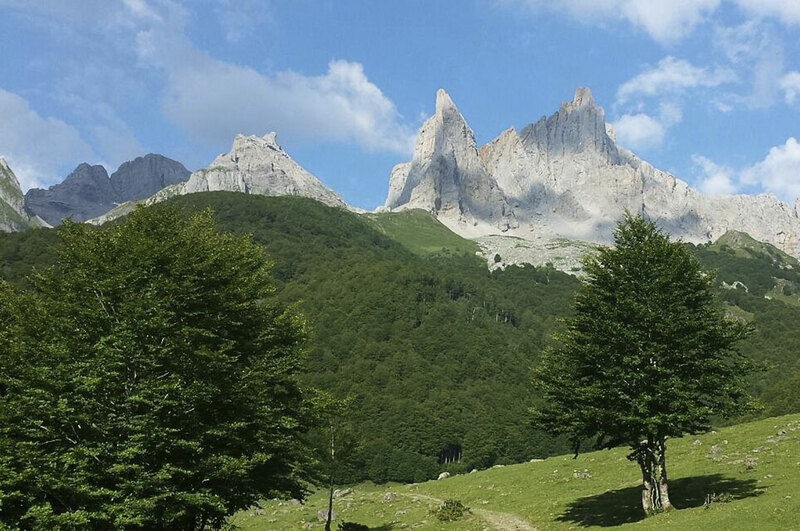 If you are doing the guided trek, the starting point is in the Selva de Oza. 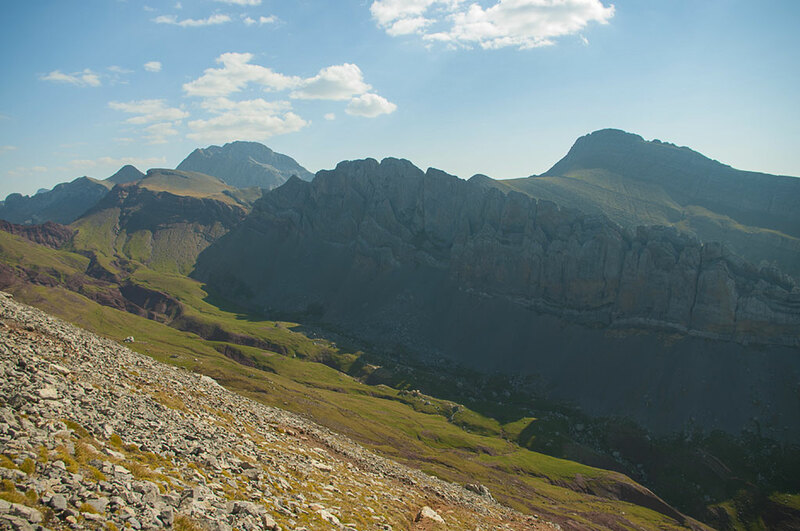 There are two variations at the end, a lighter trek of the stage Oza-Gabardito and a 6 days option walking from Linza to Gabardito directly. 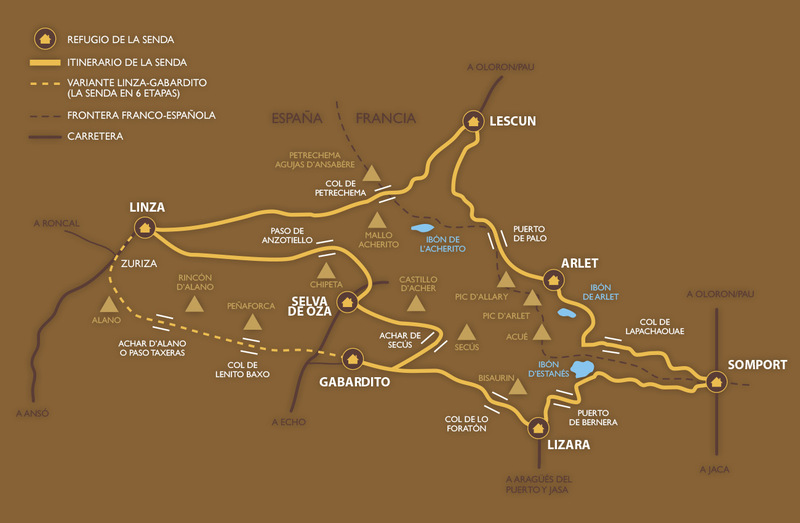 Linza – Paso del Caballo – Plana de Diego – Foyas de Gamueta -Paso de Anzotiello -Guarrinza – Selva de Oza. 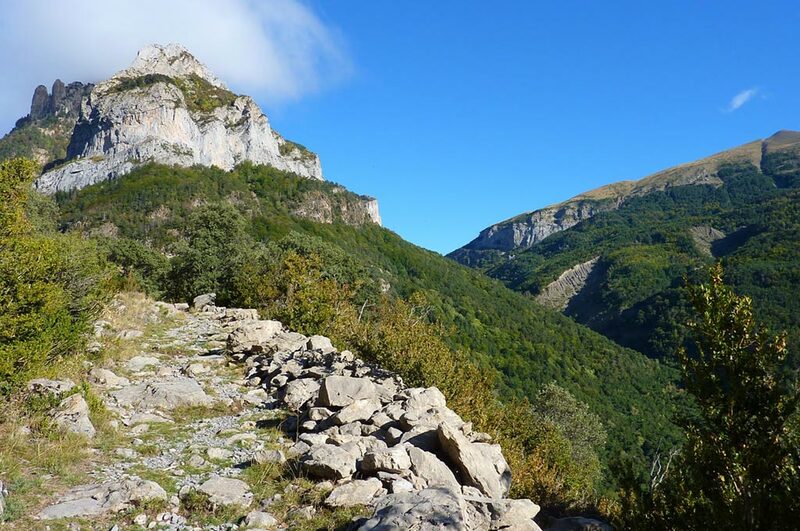 Just in front the Hostel, take the path to Paso del Caballo and follow towards Anzotiello, Mallo Gorreta, Quimboa and other summits that look like an insurmountable barrier. On the way down to Guarinza we will see different megalitich vestiges. Once in Selva de Oza we can enjoy a cold beer under the majestic beech tree of the wodden cantine. Selva de Oza – Refugio de Acher – Achar de los Hombres – Foya de Secús -Taxeras – Gabardito. 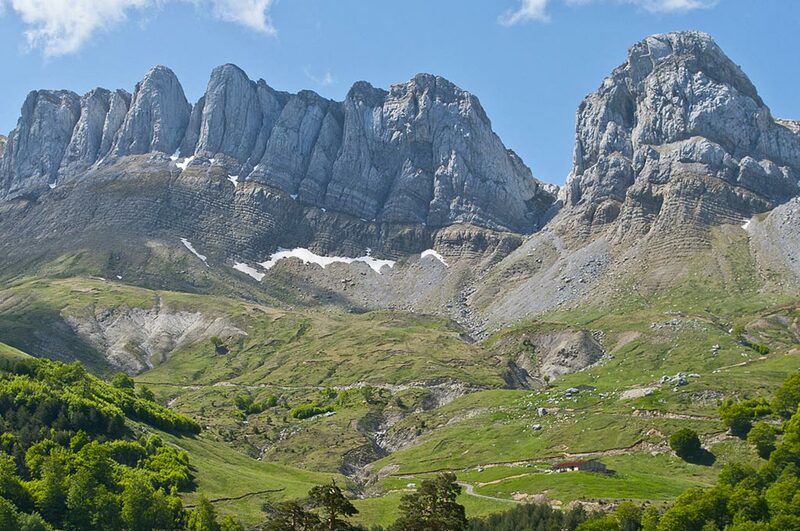 From Oza you skirt the slopes of Castillo de Acher with its incredible limestone cliffs. You will also pass through one of the lesser known but beautiful areas of the Hecho Valley: Secús and Taxeras. 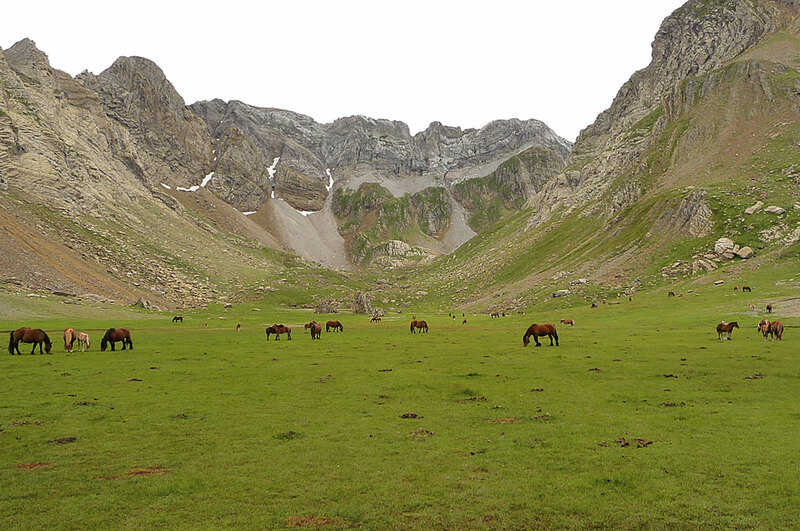 Refugio de Gabardito – Salto la Vieja – Plandániz -Collado de Foratón – (Bisaurín) – Lizara. This is the shortest stage if you don’t climb Bisaurin. From Gabardito to Lízara is approximately four hours walk, plus an extra three hours if you make the ascent to Bisaurin. This is a worthwhile climb if you can make it, as it’s the highest summit of the area and has spectacular views. 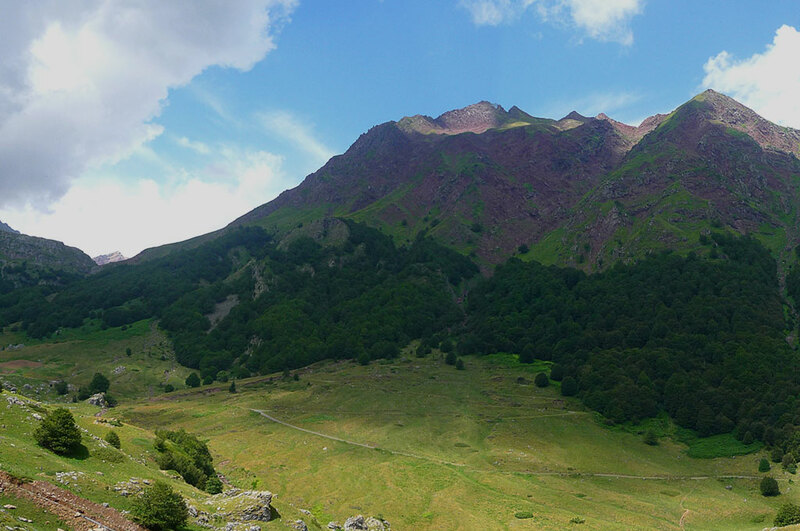 You can also walk the Sierra de la Cutas, on the right hand side of the Plandaniz col.
Refugio de Lizara – Paúl de Bernera – Valle de los Sarrios – Ibón d’Estanés – Bosque de las Hayas – Somport. This is one of the nicest stages as both the Valle de los Sarrios (chamoix) and Estanés Lake are astonishing. Although it is a fairly long, it’s not difficult. You begin with a climb or around 2 hours, which then flattens out at Paul de Bernera and the Valle de los Sarrios. The path then descends to the lake and crosses a beech forest towards Somport. At this ancient frontier you will find the Albergue Aysa. Albergue Aysa – Bosque de Sansanet – Bosque de Espelunguère -Col de Lapachouaou – Lac d’Arlet. 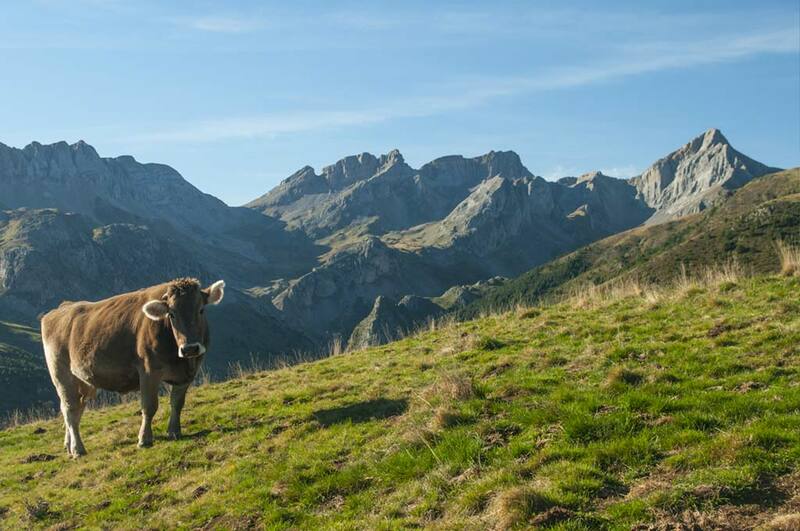 This is the French side of the Pyrenees with its dark forests, shepherds’ huts and delicious homemade cheese. 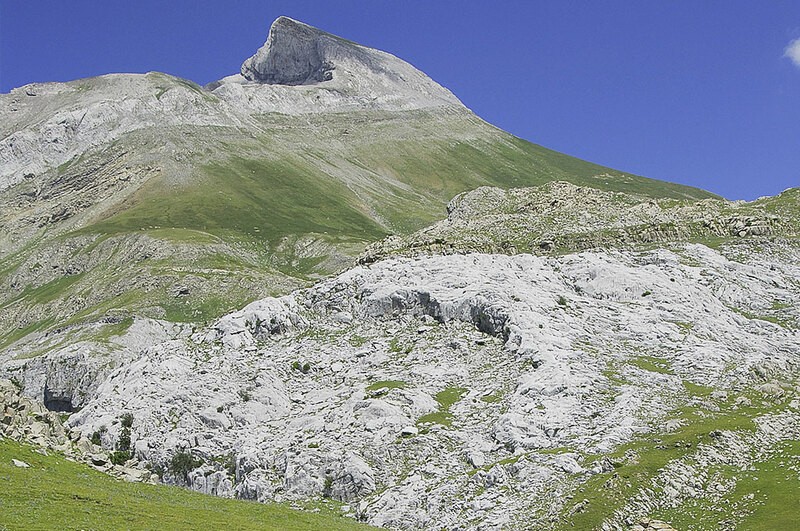 The Aspe Circle and the valley of Espelunguere are two of the loveliest points of this stage. The hut of Arlet sits by a lake facing the mountain of Midi d’Ossau. From Arlet, the border with Spain is approximately 10 minutes walk. If you feel like, it is worth crossing the border to have a look at the Aguas Tuertas valley, an impressive glacial plain in the Natural Park of the Occidental Valleys. Refugio de Arlet – Col de Saoubathou – Puerto de lo Palo – Labrenère – Lescun. +520m / -1640mStart the walk by living the Spanish border and walk where many have walked before you. For centuries the cols of Saoubathou and Lo Palo have seen the struggle of humanity to survive in harsh conditions, as man has crossed them to work, to trade or to escape from wars. Descend to Lescun to savour the peace and quiet of the Bearn villages, from where the summits forming the Circle of Lescun offer a stunning contrast with the green landscape and the black roofs of the houses. 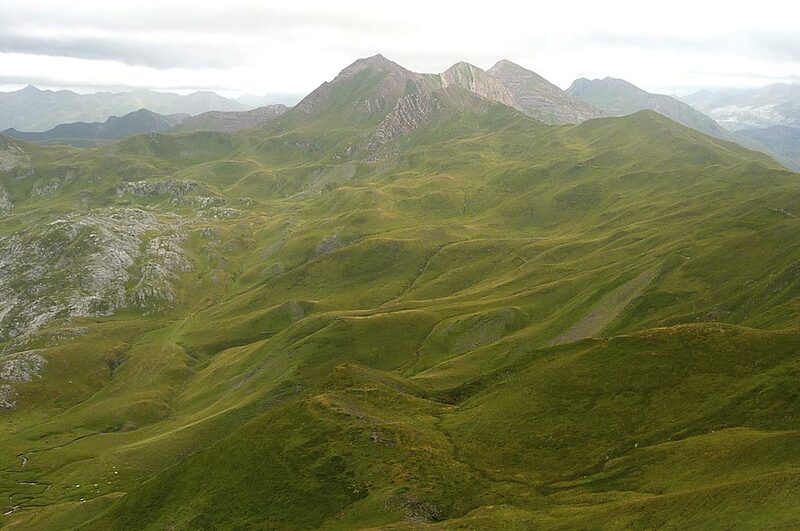 Lescun – Mazouza – Ansabère – Col de Petrechema – Foyas del Ingeniero – Linza. Here the walk begins on a road, again with impressive views of the Circle of Lescun, formed by the summits of Les Billaires, Mesa de los 3 Reyes (Table of the Three Kings), Petrageme… At the Ansabere Cabannes there will be a last chance to buy French cheese and from this point, the climbing is harder. Back in Spain, first calcareous zones, later a track through century old beech trees as you descend towards Linza. Oza – Camino Viejo – Lo Jardín – Lo Sacadero – Vía Romana o Senda de los Ganchos – Santana – Gabardito. This route is an easier option and also the only option if the visibility is poor up at Castillo de Acher. Follow the ancient path to Oza, in use since Roman times. Soon a choice of routes will be offered, one on either side of the river, but each with spectacular views of the Hecho Valley. 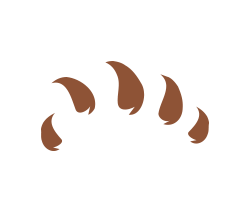 Linza – Zuriza – Taxeras – Achar d’Alano – Reclusa – Collado Bajo de Lenito – Santana – Gabardito. This is a very long walk so it is advisable to start before 7 am and see the sunrise in Achar de Alano. Reclusa is a hidden jewel of the Hecho valley, as is the beautiful forest which takes you to the Collado de Lenito Baxo. Descend to Santana (a crossroads between Hecho and Gabardito), saving your energy for the last climb up to the refuge.